People often talk about the connection between Ta-Nehisi Coates and James Baldwin. That makes sense given the epistolary setup of Coates's Between the World and Me, which was designed to echo the frame of Baldwin's The Fire Next Time. Nonetheless, one of the shortcomings in discussions of Coates's work, even in positive discussions, concerns the limited amount of attention that we give to other writers whose contributions may have led us to a figure like Coates. In this case, we could definitely do more to acknowledge the writings about music by Amiri Baraka and Greg Tate. Their works contribute to a whole network of works by black men, including Mark Anthony Neal, Kevin Young, Colson Whitehead, Brent Hayes Edwards, Coates, and many others. (There are, no doubt, a large number of non-black men who write about music as well). Black Music introduced superheroic otherworldly entities calling themselves Sun Ra, Ornette Coleman, John Coltrane, Cecil Taylor and Pharaoh Sanders. And did so deploying a style that was as incandescent, indelible and whiplash smarting as the music itself. Laid down like grammatical law in Black Music is the mandate that music journalism seem as possessed by furies as The Music. Count this reporter among those writers who owe their adult vocation to being swept up by Baraka’s elegant prose juju at a tender, volatile age. Consider this black music journalism genealogy. Tate, who's influenced untold readers and emergent writers, was in turn greatly influenced by Baraka. Beyond his journalism, Baraka's verse placed him at the forefront of what's known as jazz poetry. Moreover, it's not uncommon to hear his work discussed in the realm of blues poetry. Baraka's writings about jazz in verse and prose provided a blueprint for a blueprint for what Tate did in hip hop journalism for The Village Voice. Like Baraka, Tate was perpetually blending the rules of so-called proper English, utilizing unconventional spellings, deploying vernacular terminology, and referencing aspects of vibrant black expressive traditions. Before publishing his memoir The Beautiful Struggle, Coates was making pitches to publish a history of hip hop. He was among many black men interested in writing the histories of hip hop. The editor Chris Jackson rejected Coates's idea, but eventually suggested that Coates write about a book about his life and father. The Beautiful Struggle is still in some respects a book about a black boy's relationship with black music. Coates was one of many black men writers who turned to black music as a point of reference and as an art form that inspired a sense of consciousness and awareness about African American conditions. Those writings stretch to Baraka's Blues People (1963) and Blues Music (1968), up through Tate's writing for The Village Voice. Writing about the music has been a way of reflecting on and demonstrating African American creativity and consciousness for a large number of black men. 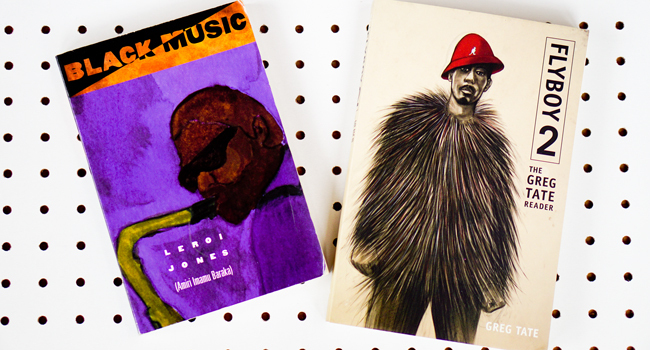 Baraka and Tate remain crucial gateways for the expansive body of work that black men have produced about black music. Yes, check the work that Charlie Braxton has been doing for several decades on hip hop. He certainly had Baraka's blessings for his poetry and writing on music for many magazines. Nevertheless, it is a fact that few people know his name. At one end of a scale to which cultural criticism ought to bring notice, we find Albert Murray and Ralph Ellison and at the more recent end (still growing) thee is Kevin Powell (when Vibe published meaningful pieces), Charlie Braxton in a number of hip hop magazines and in his co-authoring a book published in France, C. Liegh McInnis on Prince, and many writers with whom I am not familiar. Thus, a survey of what's what and who's who in contemporary black music commentary is a gap that needs filling.